It's that time of the year...get my holiday cards printed. I have used Kodak Gallery the past few years, since I had an employee discount, but since last year 1) Kodak Gallery was sold to Shutterfly and 2) I'm not an employee as of November 30th. To get the scoop on the latter, you'll have to read our family newsletter. Hey, I need to hold something back since I'm posting a preview of our holiday card here. And you're probably asking me, "Why are you posting it?" Well, that's because Shutterfly will email me $10 for posting it my website as part of their marketing effort to bring traffic to their site (hey, I'm in marketing, I know how this works!). Okay, Shutterfly…I’ll be on the lookout for that $1o coupon you promised me! 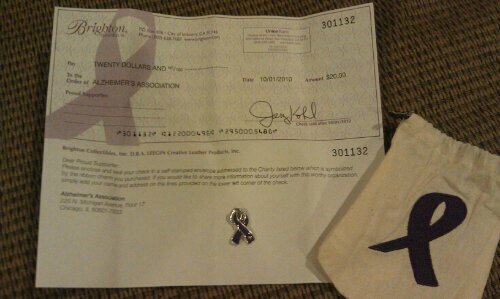 charm, you receive a $20 check that you can mail to the Alzheimer’s Association! And the Sigma Kappa in me thinks that’s awesome! 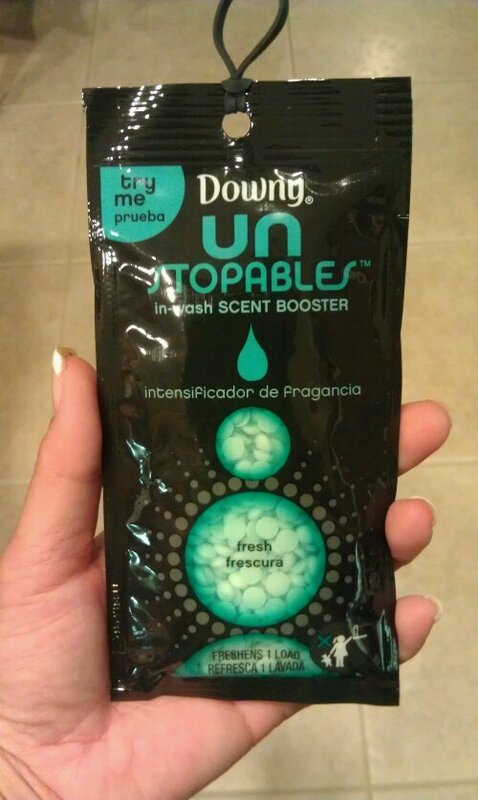 So, I received a sample of Downey UNstoppables yesterday. There’s scent in my detergent, scent in your fabric softener (if you use it, I don’t), and now what looks to me to be extra scent. Guess it’s for those families who really stink up their clothes? And then each girl had gave me their choice (from what I had on hand) for salad dressing. 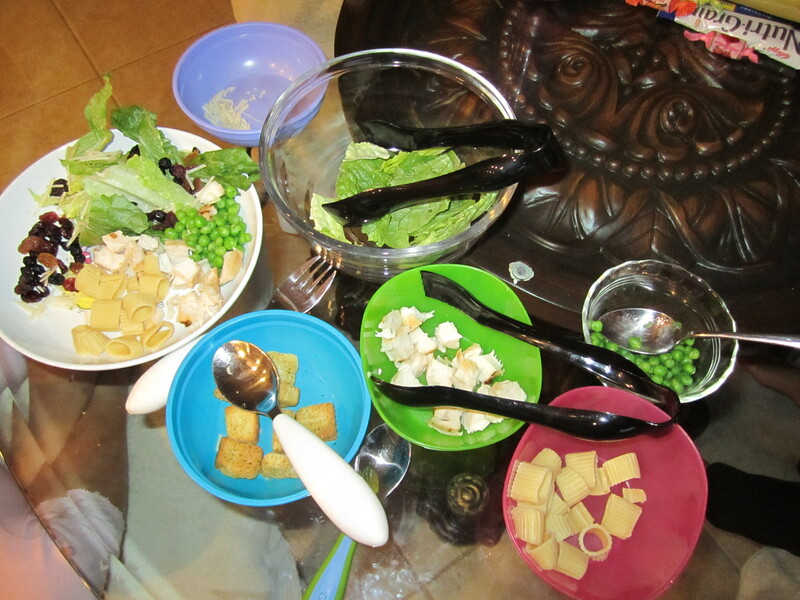 They loved going around the table with their own plate and coming up with their salad creation. And I loved that it was fast and healthy for them. I need to find more quick healthy meals like this. Anyone else have ideas to share with me? A USC friend made this recipe and shared it with me. Without a doubt, every time I make it, I get a request for the recipe. So if you like shrimp and avocado, you’ll love this appetizer. Mix everything and adjust the seasoning to taste. In San Diego, the homemade tortilla chips from Harvest Ranch (a grocery store Del Mar) are light and salty and go perfectly with the dip. Otherwise, try going to a Mexican restaurant and get some of their homemade tortilla chips. 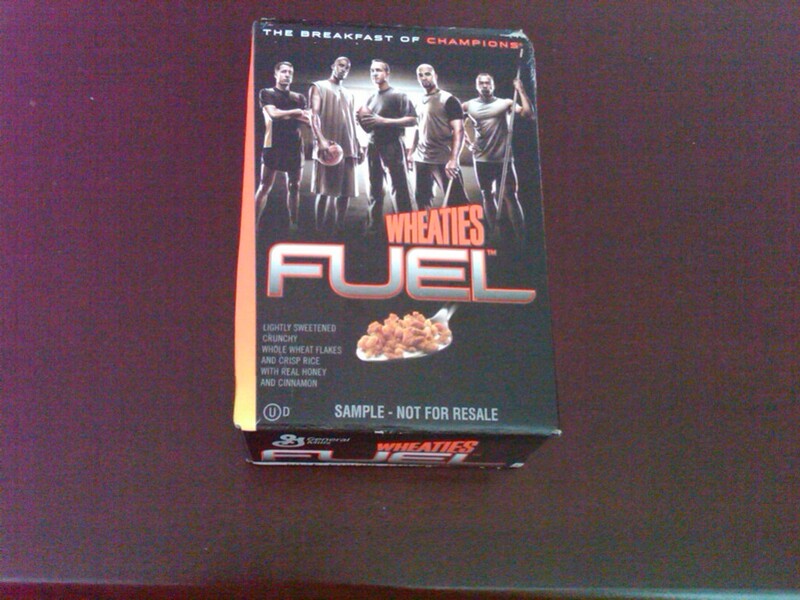 So this morning with my Saturday paper, a small box of Wheaties Fuel was in included. What is interesting to me is not that Wheaties has a new product, but it’s the marketing tool they used to generate awareness of it. The funny looking square is a Microsoft Tag. As instructed I downloaded the “tag” app from GETTAG.MOBI. The website smartly detects what type of smartphone I had (which is a Blackberry) and offers you the appropriate app to download. 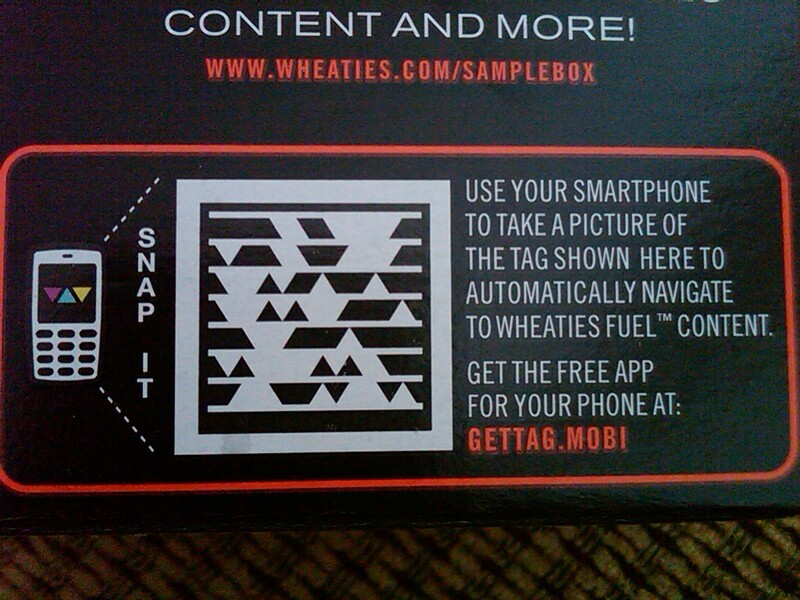 Then when you run the app, it uses you smartphone’s camera to scan the tag which then takes you to the Wheaties Fuel mobile website to learn more about the cereal. I’ve not seen this “tagging” on any consumer products I typically buy, so this was intriguing to me (but then again, I have a career in marketing, and I love when technology brings new tools for us marketers). If this, what marketer’s consider a “call to action”, had not been on the box, I would have just tossed the box of cereal in my cabinet to be consumed at some later date. I would have not taken the time to discover the difference between Wheaties and Wheaties Fuel (as I have never consumed Wheaties in my life). Now I wonder if this marketing tool becomes more pervasive on consumer goods, will I some day just ignore the call to action or will I always wonder what’s on the other end of that tag? P.S. I did try the cereal. It tasted exactly as the box describes it: lightly sweetened crunchy whole wheat flakes and crispy rice with real honey and cinnamon. I used it as a topper for my greek yogurt. Yum! This is my personal blog that is written by me and the views and opinions I express are mine alone. I am not compensated in any way from this blog nor am I compensated to provide opinion on products, services, websites and various other topics. If I decide to review or promote a topic, product or service, I only do so because I personally believe in it and hope that the review will be helpful for others. Since this blog does not generate income for me, I am employed full time by Eastman Kodak Company. This fact may or may not have a significant impact on the content of this blog. For questions about this blog, please contact spolizzotto at hotmail dot com.